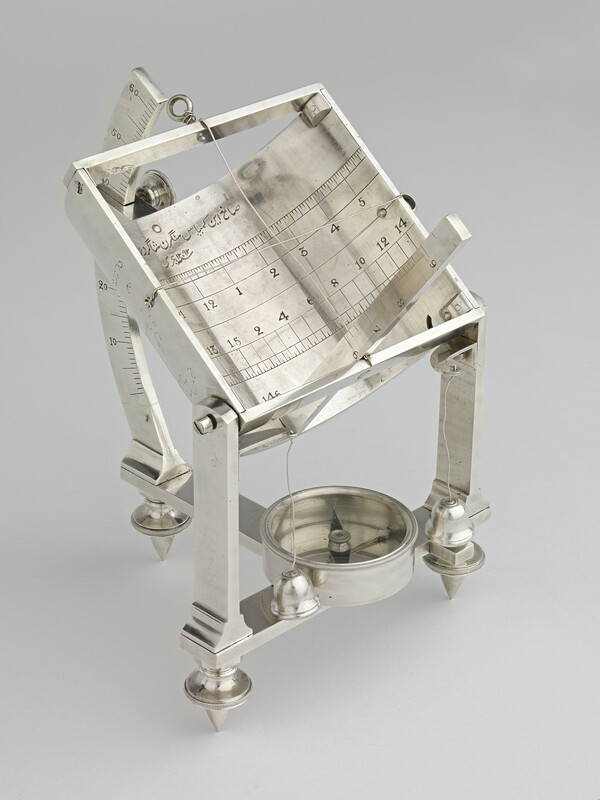 A silver semi-cylindrical sundial mounted on a tripod support. The sundial contains two timescales, one that can measure 60-minute hours and the other which measures ghatis, an Indian measure of time that equates to 24 minutes. The sundial, made entirely of silver with the exception of the blued steel compass, was designed as presentation piece. As the timescales are incised on a very reflective surface and the bearings made of silver wire do not hang straight, it is difficult to obtain a precise time. Sundials of this type would usually be made of brass and yarn for the bearings to hang from.